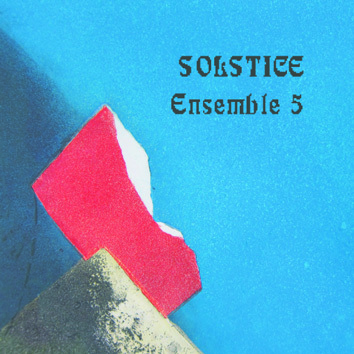 Heinz Geisser, the drummer and the houshold names with Leo Records, goes from Collective 4tet to ENSEMBLE 5 — a quintet which boasts a great combination of maturity and youth. The oldest member is the trombonist Robert Morgenthaler while the youngest, the bassist Fridolin Blumer, is 30 years his junior. Somewhere in between are the pianist Reto Staub and the saxophonist Vincent Daoud. It is amazing how these musicians belonging to different generations play in complete unison. They all work like a well-oiled machine.